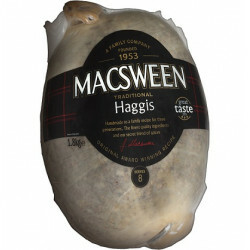 MacSween chieftain haggis, MacSween ceremonial haggis, buy online, by post, mail order from The Scottish Store. 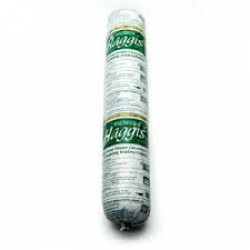 Out of stock until October, please buy our Grants tinned haggis. Weighs 3.6kg serves 16-18 people. 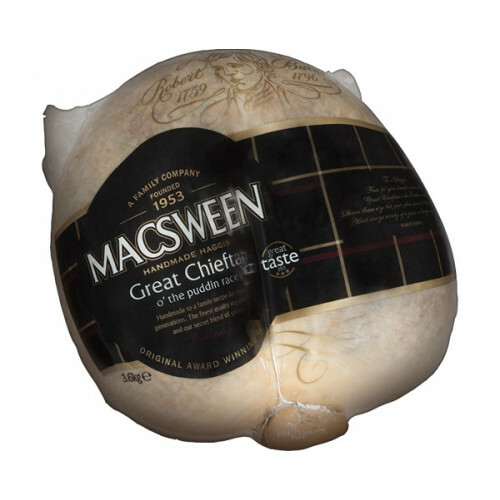 Our MacSween chieftain haggis, also referred to as a ceremonial haggis, is available for next day delivery in December and January. Allow 3 days for delivery outwith these months. At that start of a traditional Burns Supper the chieftain haggis is piped in. Guests should normally stand to welcome the dinner's star attraction, which should be delivered on a silver platter by a procession comprising the chef, the piper and the person who will address the chieftain haggis. A whisky-bearer should also arrive to ensure the toasts are well lubricated. During the procession, guests clap in time to the music until the chieftain haggis reaches its destination at the table. The music stops and everyone is seated in anticipation of the Address to a Haggis. 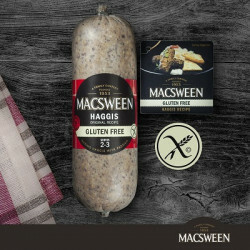 MacSween haggis is a delicious mix of lamb, beef, oatmeal, onions, pepper and spices, drawing on the rich history of the dish as a food for the Scots. You can boil it in a pot, cook it in the oven or even microwave it! Buy our MacSween chieftain haggis online now! Videos of a MacSween chieftain haggis being piped in. 25th February 2019:Out of stock until October, please buy our Grants tinned haggis. Serves.. 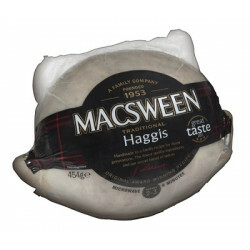 Serves 4-5 Macsween of Edinburgh, a third generation family company, has been at the forefront .. 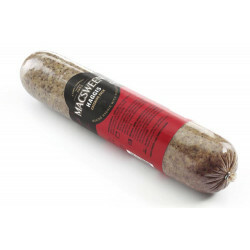 Serves 8Chieftain or ceremonial haggis which is one of our best sellers. 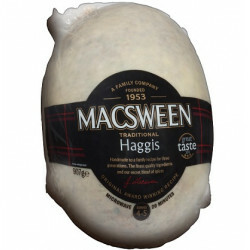 MacSween of Edinburgh,..
25th February 2019:Out of stock until October, please buy our Grants tinned haggis. 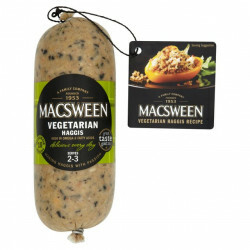 MacSwe..
25th February 2019: Out of stock until October, please buy our Grants tinned haggis. MacSween H.. Copyright © 2018 : The Scottish Store, All Rights Reserved.